Trying to navigate permit requirements and regulatory program compliance? Our experts are ready to handle all your compliance needs. EnviroProjects comprehensive knowledge of Local, State and Federal regulatory processes affords us the strategic advantage to pro-actively manage the entire environmental permit compliance process for our clients. EnviroProjects comprehensive knowledge of Local, State and Federal regulatory processes affords us the strategic advantage to pro-actively manage the entire environmental permit compliance process for our clients. 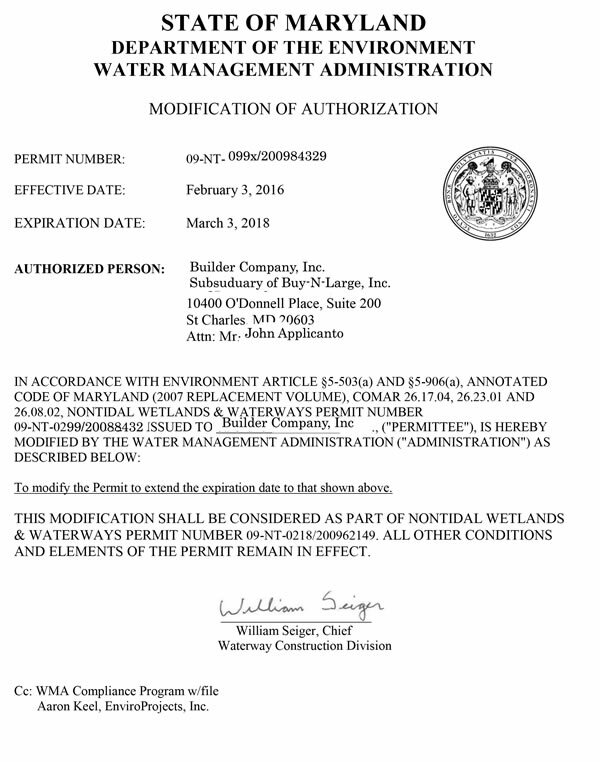 EnviroProjects offers in-depth expert knowledge of the federal Clean Water Act Permit process and how it is administered, by the US Army Corps of Engineers various and differing regional Districts, allows us to anticipate permit challenges and resolve problems before they develop. EnviroProjects’ knowledge of the various State water resource programs of Maryland, Delaware and Virginia and how they administer tidal and nontidal wetlands, and subaqueous lands, and streams differently from overlapping federal authorities enable faster, more cost-effective project completion. Our experience and understanding of the Waters of the US (WOUS) delineation process enables us to precisely manage the compliance and mitigation requirements. Questions about our Permit and Local Regulation Services?